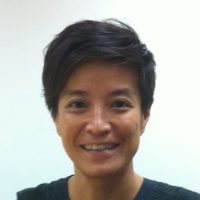 Yang Yeung is a writer of art and an independent curator. She founded the non-profit soundpocket in 2008 and is currently its Artistic Director. In 2015, she started independent project A Walk with A3 located at a back alley in Causeway Bay in Hong Kong to support the right of art to be in the streets and right of pedestrians to encounter art as a daily experience. She is member of the independent art critics collective Art Appraisal Club (HK) and the International Art Critics Association (HK). She was awarded the Asian Cultural Council Fellowship in 2013-14. She currently teaches classics at the Chinese University of Hong Kong.